2019 Summer camp PreREGISTRATION begins 3/13, and registration begins on 3/16. The Phoenix Film Foundation’s film summer camps are back for 2019 and better than ever. Whether a beginning filmmaker or a seasoned pro, current junior high or high school students between the ages of 13 and 18 can learn how to make a film and take their filmmaking skills to the next level. Please note, because of the high demand we will not be able to take any students under the age of 13. These camps are in high demand and sell out very quickly. Learn about our filmmaking camps below, or if you are ready to register, scroll to the bottom of the page and click on the button to register. We'll see you at camp! In this camp, students will learn about audition and rehearsing for film, character analysis, vocal and physical elements, script analysis, and will actually take part in shooting a film with our advanced filmmaking students! During week one, campers will learn about the craft from 3pm-6pm Monday through Friday. In week two, campers will join our advanced filmmaking students from 9am-2pm Monday through Friday and spend three days shooting their joint project and two more days of instruction and opportunities to learn through acting exercises. Students will come out of this camp with a headshot and a resume ready for submitting for auditions! Acting For the Screen is $200 for the 2-week session. Each week-long camp guides students (ages 13-18) in applying the fundamentals of filmmaking to creating their own original short film as a team. Students will develop the ability to collaborate with one another and learn how to leverage the strengths of their team. Through hands-on learning, students will actively participate in the technical elements of digital filmmaking from pre- to post-production. 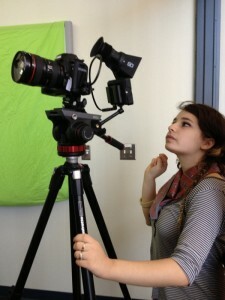 Filmmaking 101 camps are $100 per week-long session. All camps are from 9am – 2pm daily and include lunch. In order to serve as many studets as possible, please only sign up for one camp. 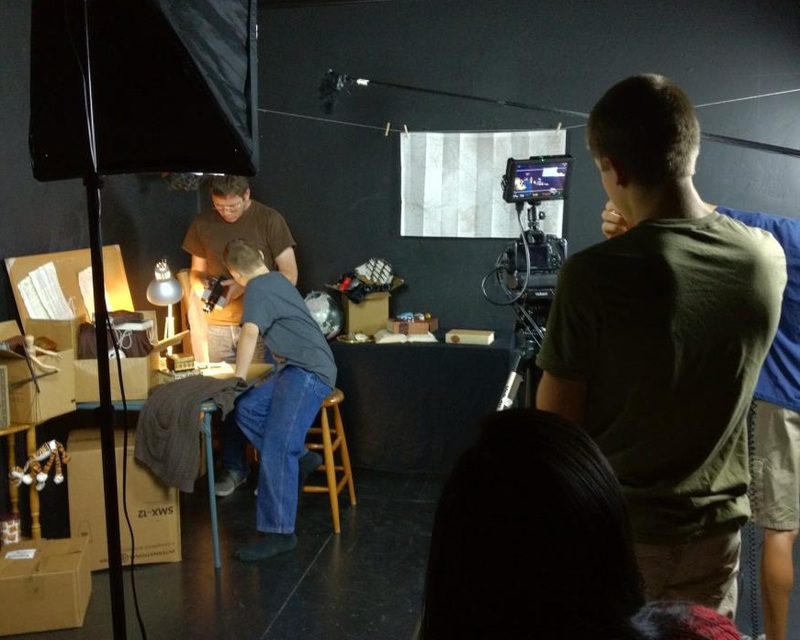 The two week-long Advanced Filmmaking Camp takes students (ages 15-18) even deeper into filmmaking techniques in order to create their own original short film. Through hands-on learning, students will actively participate in the technical elements of digital filmmaking from pre- to post-production. Each student interested in attending the Advanced Filmmaking Camp will prepare an artist’s statement (no longer than one page) describing their past experience with creating video projects and what they hope to gain from the camp. Students not selected for this advanced program will have the option to attend one of our Filmmaking 101 camps. Each selected student will come to camp prepared with a script between 4-6 pages long (formatted as a screenplay). On day one, we will review all submitted scripts, go through a feedback process, and choose one script to complete as a class. Advanced Filmmaking is $200 for the 2-week session. All camps are from 9am – 2pm daily and include lunch. New this year, our screenwriting camp will focus on teaching students (ages 13-18) how to write stronger short films. Students will develop the ability to express themselves and their ideas effectively into scripts that are ready to be made. The campers will learn about the difference between writing for their resources as well as letting their imaginations run wild without any limitations in mind. Students will also come out of this class with a strong grip on act structures as well as screenplay formatting. The screenwriting camp is $100 for the week-long session. All camps are from 9am – 2pm daily and include lunch. In order to serve as many students as possible, please only sign up for one camp. Another new camp this year, our editing camp will focus on teaching students (ages 13-18) how to edit effectively, creatively, and efficiently. Students will develop the ability to take a project they did not shoot and cut it into a polished film. Through hands-on learning and the use of Adobe Premiere software, students will actively participate in finalizing edits on the three Filmmaking 101 films. In addition, students will also get introductions to color grading their films as well as a primer on After Effects. The editing camp is $100 for the week-long session. All camps are from 9am – 2pm daily and include lunch. In order to serve as many students as possible, please only sign up for one camp. All camps are located at the Phoenix Film Foundation’s office. Once all of the camps are finished, we will all gather together for a one-night-only exclusive screening of our four Summer Camp films on the big screen at the Harkins 101. More information will be given to our campers. So what are you waiting for? We will see you at camp!